A curated bundle of games sent to your inbox every month. When you subscribe, you'll immediately receive Deus Ex: Mankind Divided, GOD EATER 2 Rage Burst, and Mafia III + Mafia III: Sign of the Times with more to come and enjoy 10% off in the Humble Store! available for upgrading and new customers for April only. Promotion ends April 6 at 9:59 a.m. Pacific time. $20 USD wallet credit granted after annual plan purchase. Customers who have previously received Humble Wallet funds for subscribing as part of another promotion are ineligible. Wallet credit is only available to customers who purchase an annual subscription between March 30 at 12:00 a.m. to April 6 at 9:59 a.m PT. Promo subject to Humble Bundle Terms of Service. Promo is subject to change. Note: Customers who have previously received Humble Wallet funds for subscribing as part of another promotion are ineligible. NEW!!! Share your Humble Store discount with a friend! : When you share your discount, you and your friend will receive 10% off Humble Store purchases. Also, it's too late to buy the March Monthly Bundle. You will therefore NOT receive that bundle by purchasing this one! This coupon will EXPIRE on May 4th at 10 am Pacific. Please use your coupon before this date! Customers from ASIA, RU/CIS get a ROW key (SreamDB) for GOD EATER 2 Rage Burst although region locked versions exist for this game. However, customers from Chia will get The Guest instead. The Steam Store version of Deus Ex: Mankind Divided includes DLCs: Jensen Story: Desperate Measures, Intruder Gear, Enforcer Gear, Classic Gear, Augmented Covert Agent Consumables Pack. This bundle only contains the base game. Originally the DLCs were missing, but they have been now added to the bundle key as well. Read Rachel's detailed Q+A to these Humble Monthlies! Also, read HB's FAQ! NB: SUBSCRIBE BEFORE 10 AM PDT, 6th APRIL! With the $20 promo, what's the price of this for CV calculation purposes? Woop, I can't wait to hold DXMD/GE2/M3 in my hands and caress them gently. 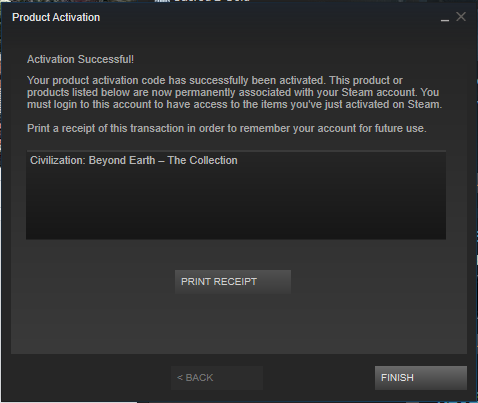 Steam keys, you shall be mine! Don't really need what's known so far, but I'm still gonna risk it. Bundles are addictive loot boxes too. I fell prey to all these $10/$20 wallet credit offers for annual subs and now I'm subscribed until Spring 2042. Somebody send an extraction squad, I beg you - just get me out of this contract! Hey IGN, gib Nier Automata or I'm not paying. Thanks. Gosh, it's like Bad Rats all over again. What a lame early unlock. Pausing this month. I'm betting we'll get three Late Early Unlocks™ revealed midway through March. You know what, a region locked free to play MMO DLC key would really spice things up. You listening, Humble? To be sufficiently edgy, I'm making my purchase decision on April Fools' Day. Oh wait, they autocharged me two days earlier. I have to admit kinda nice. I'll consider it for god eater. It's like January strike back. Yes. Do you get the first GOD EATER with this one? For the key of God Eater 2 Rage Burst if redeemed are they only got Rage Burst only or including with God Eater Ressurection ? Also, of course the best game from early unlock is region locked. 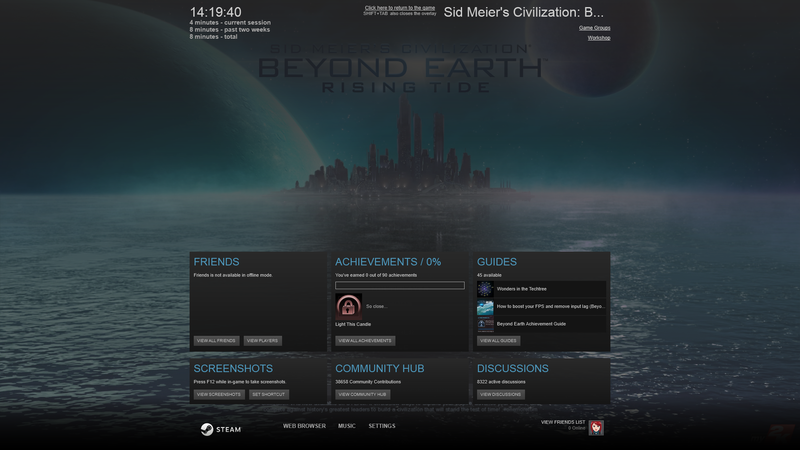 Instead, you'll unlock Sid Meier's Civilization®: Beyond Earth™ – The Collection!" It would be illegal for it not to. EU and all. It successfully activated for me in the Netherlands. We did exchange the actual keys directly via Facebook Messenger, I think Humble locks the gift link to their 'region lock'. thanks, can you play the game aswell? It's the whole idea! With DX here you even have to rebuy the entire game just to get DLC. if u activate GOD EATER 2 Rage Burst u will get GOD EATER Resurrection? insane one. deus ex is still a great game... the added microtransactions are not needed at all so good to go for some serious fun! Glad I didn't bought Mankind Divided everytime saw it on sale. I bought it but it was 4.3 EUR so no biggy :D ... I also want the other 2 :D ! Here ... maybe this cheers you up :)) ! And I still bought the HB monthly :D ! O boy, you are quite unlucky (or impatient) I feel for you. Nop ... What I did was to buy DSIII at the lowest price ever so I have no remorse ! I will sell the DS3 with 10$ so :D ! I never am impatient , I payed 10 Euro for DSIII and 4.3 FOR MD so no bigy ! I have only payed more that 15$ for 2 games that I adore ELEX and TW3 rest are at best 12$(5-6) and the majority below 10$ :D ! Only thing that interests me is the God Eater. Already have the Deus Ex and don't want Mafia so, in essence, I have no interest in trying to get some money for this months monthly. Is the HB site down right now?!? Mafia III is terrible, not into RPGs, and Mankind Divided is currently 6€ on Steam. Should I get this? only if you want to try your luck with the other unknown games. So basically 6 euro for 3 unknown games. Nope, more. As I understand DE:MD worth $6 with Season Pass while this one comes alone for the sake of being greedy. So, you'll have to buy a Season Pass for whatever it cost in your region. So, it's at 8~9€ for 3+ unknown games. Probably worth to skip. I'm actually thinking to skip it entirely since I already have God Eaters and DE:MD with SP, and I don't really care about Mafia 3. Maybe, God Eater 2 and Deus Ex are wishlist, i already got Mafia 3 froma giveaway... Need to think, at this moment is a no, maybe middle month i get it.